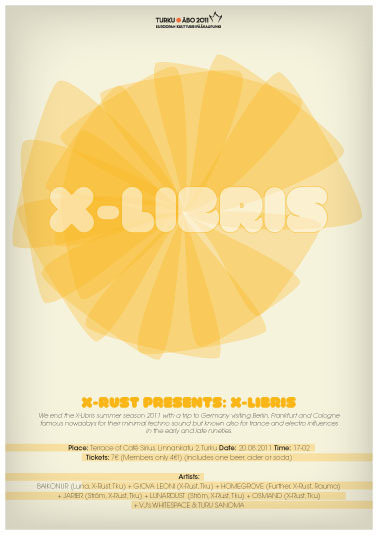 We end the X-Libris summer season 2011 with a trip to Germany visiting Berlin, Frankfurt and Cologne famous nowadays for their minimal techno sound but known also for trance and electro influences in the early and late nineties. Visuals by VJ Whitespace and Turu Sanoma. Price includes drink. Age limit 18.